Good day my friends. The weather is a lot more bearable here in S.W. Wisconsin for the day. Here is what I had my husband dig out of storage for me today. It is an large, old, wooden desk top piece. Just love how it turned out after hanging it up. 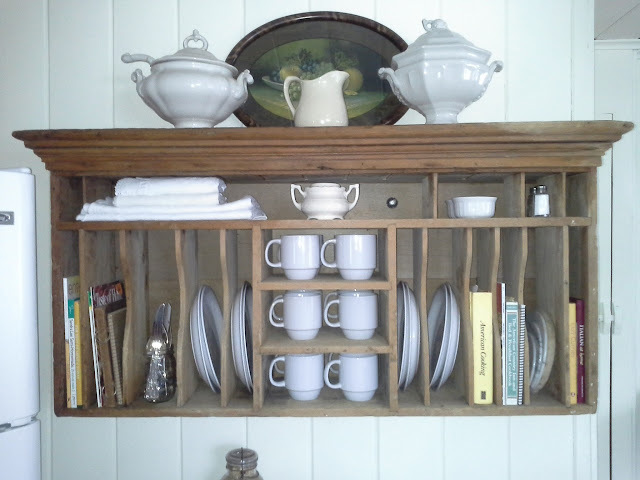 It works so well for holding dishes, linens, and a few of my favorite cookbooks! I just love thinking out side the box and using pieces for a different purpose other than what they were originally used for. My mind always has the gears turning everytime I see something that interests me. Well lets see what else I can come up with in the next few days! 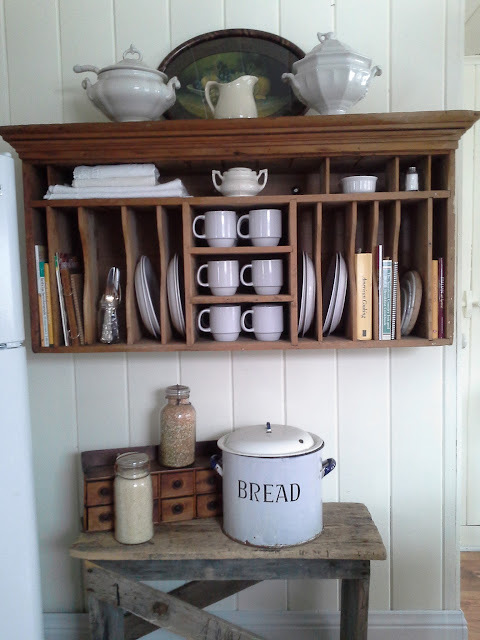 Just love how it holds cookbooks, dishes, and linens! Love the piece and how you're using it! I love this! The oval picture on top caught my eye. It reminds me of an antique pic I have of my great great great Grandfather & Grandmother. What a great piece. 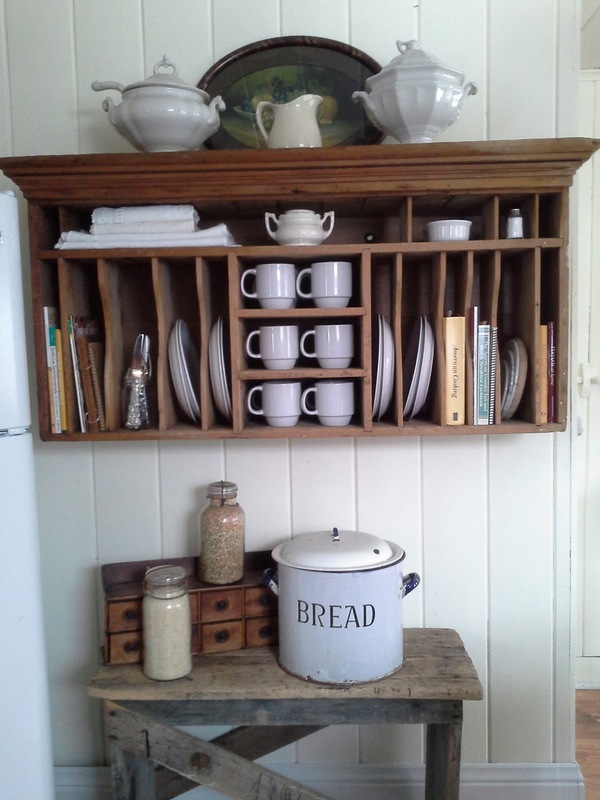 It looks very "farmhouse" and I love it. Now, where are those frightening pictures I have been promised? I'm off to check the blog.